Erika Haley is an Associated Broker and President of the Erika Haley Personal Real Estate Corporation. The Broker designation represents a very high level of Realtor Education and Experience in the industry. An Associate Broker can manage a Real Estate Brokerage or own their own Real Estate Brokerage should they choose to do so. Erika has also been one of the top producing Realtors in Campbell River BC since 2005. In 2015, RE/MAX celebrated more than 35 years of providing quality real estate service to our customers in Canada. Hundreds of thousands of families trust RE/MAX with their real estate needs every year. Finding you the perfect property, whether it be a residential, commercial or luxury property, is our full-time goal. When your looking for help buying, selling, or investing in Real Estate - take a moment to really look at the qualifications of who will be representing you in possibly the largest financial transactions of your lifetime. For more than 10 years Erika Haley has been in the Campbell River Real Estate community and she has represented the entire area on the “Vancouver Island Real Estate Board” as well as the “British Columbia Real Estate Boards Education Task Force”. She is also an educated and licensed “Associate Broker” and runs the very successful Erika Haley Personal Real Estate Corporation. The Erika Haley Personal Real Estate Corporation Team includes Reg Creighton, husband and IT with a marketing background that allows us to leverage technology better than anyone else in the area. Together Erika and Reg have completed 13 personal purchase and renovation projects in the Caribbean and Campbell River and are working on their biggest project right now in Campbell River. Our family members are also entrenched in the Real Estate industry across Canada including a brother that owns Creighton Realty in Vancouver and a sister that owns Century 21 Fusion Realty in Saskatoon. 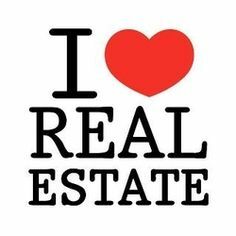 When you need someone to help – choose the Erika Haley Personal Real Estate Corporation for its Education, Experience, Technology, and love of all things “Real Estate”.